In October, 17 product managers sat around a table at First Round’s New York Office, ready to learn something new. They’d been hand-picked out of 800+ applicants for the First Round Product Program — the first seminar series of its kind for rising star PMs destined to shape the industry for years to come. Instructors included recent product luminaries ranging from Viacom SVP Product Mike Berkley to Ellevest CPO Alexandria Stried to Kit Founder Camille Hearst. But no one knew what to expect. Getting into the PM mindset. Figuring out when to build what. 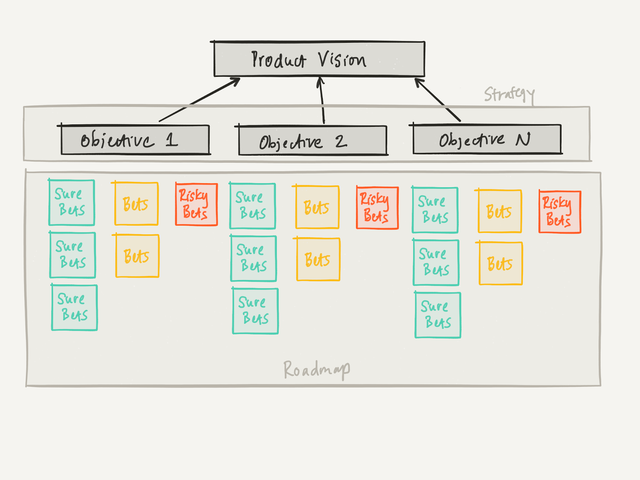 Building out strategy based on a product vision. The best ways to communicate with stakeholders. How to develop a product narrative that rallies people. Creating a remarkable product team. Scaling yourself as a PM. Leveraging product skills to become a founder. The product manager role has many definitions, the most popular of which is CEO of the product — but more often it can feel like cat herder or project coordinator. There’s a duality to it. You need to be both a strategic whiz and an execution-oriented jack of all trades. It can be hard to embody all of this at once. To boil it down to manageable size, instructors Aseem Sood, Co-founder of Open Collective, and Steve Jacobs, Founder at Bright, offered this directive: A good PM fills in the gaps and gets out of the way. Your job is essentially to go from the current state (a defined problem) to a future state of things (where the problem is solved). What gets you there are tactics. To build something truly great, you have to do this again and again, every time you add a feature or make a change. In the equation, magnitude is a measure of how frustrating/painful/unbearable the problem being solved is. A magnitude 1 problem might cause mild annoyance, whereas a magnitude 3 problem might cause show-stopping frustration and anger. Stack rank what you need to do accordingly. For each project you prioritize, define the current state and future state. Then list all the tactics you can think of to move toward the latter. As you start taking actions, continually question whether the tactic you’re trying creates more friction than the original problem. If the answer is yes, immediately shift course. Of course, there’s a lot more to the day-to-day of product management, but if you can internalize these few tenets, you have a significant advantage. Is there significant risk if we don’t do this soon? What is it? How likely are those things to happen? What opportunities might we miss if we do not build this thing within a certain timeframe? For example, maybe a competitor has launched a new version of its product that its customers don’t like as much. This gives you a window of time to entice some of them over to your product if you build and launch the right things — i.e. the features they're now missing. The other follow-up question you should always ask is “How many other projects depend on this thing?” For example, a company might decide to take a year to work on infrastructure that will set them up for future success on a number of dependent projects. You want to enable as much for yourself as you possibly can while also hitting your other priorities. Structure your vision wisely. It should be forward looking — several years away at least. Whatever statement you use to define what you’re building, make sure your team is aligned around it, and that every single person understands how their day to day work is heading toward it. It should be useful for guiding everyday decisions on what to build, what to ship and what to prioritize. Create 2-3 objectives that move you toward that vision. These should be goals (not tasks) accomplishable over one or a few quarters that will make measurable progress toward your North Star — like reducing churn or opening a new market. Arrive at these goals leveraging data coming out of customer conversations. What problems, liabilities and opportunities emerge? Create objectives around them, but not too many at a time. Place bets under each objective. This is where you get into tasks. Nested under each hypothesis, place a number of bets — specific hypotheses you’re making to achieve those goals and the actions you’ll take to test them. Results should be as quantitatively measurable as possible. Spread out your risk so that you’re only taking on a few high-risk/high-reward projects at a time alongside likelier wins that move the needle. Following this template, you end up with a quarterly roadmap that has every action and each person’s work closely connected with the company’s direction and purpose. Plus, it sets you up to quickly test, measure and adopt the features that will make the biggest difference for you over time. Product managers sit at the nexus of many very different types of people, and — like a switchboard — they need to route communications accordingly and keep everyone informed about what’s happening in a language they understand. In this session, instructors Melody Koh, former Head of Product at Blue Apron, and Ellevest CPO Alexandria Stried listed all of the do’s and don’ts that ensure smooth communication with four main stakeholder groups. Send presentations, decks and other materials before every meeting. For very busy folks, print materials in advance of meetings and block off the first 5 minutes for review. Validate every decision with data, showing that you’ve thought through all possible outcomes. Be specific about the executives' desired participation. Outline clearly and succinctly what decisions you need their help making in real-time during the meeting. Take notes and close the loop. Follow up immediately on open questions and requests. Send high-level updates right after each meeting with action items, the status of tasks using something clear like red/yellow/green to indicate what's behind schedule, going okay, and going well. Go into too much detail. Only share what’s important. Surprise anyone with bad news. If the news is bad, reach out to folks 1:1 in advance so they have time to think. Then set a meeting with everyone to find resolution. Show up unprepared. There’s no winging it. Ignore room dynamics. You need to watch people’s reactions to information and adjust in real time. Defuse tensions as they arise. Slow down or speed up as needed. These are the people you see and talk to all the time. But information still falls through the cracks, and you have to make sure everyone is moving forward. Leverage efficient daily stand-ups. This is your time to nudge, get status updates and call out outstanding action items. Review strategy/roadmaps regularly. Evaluate whether changes are needed weekly. What data motivates these changes? Record and send out notes on key decisions and actions. This maintains alignment better than anything else. Facilitate conversation around roadblocks. Don’t just observe that something isn’t getting done. Get to the bottom of it. Reward team members often. Highlight and demonstrate the impact of their work. In particular, tell anecdotes about customer pain points that were alleviated. Make decisions without engineering and design. Autonomous decision making has a destructive ripple effect. And never treat them as subordinates. Send action items/requests without talking about them first. Don’t just assign things to people through a productivity tool. Chat about it in a 1:1 or stand-up. Forget to update folks on roadmap or specs changes. This is particularly important after meeting with execs. Run through the changes with your team and explain why they were made. This might include internal teams like finance and legal, or external parties like brands you’re partnering with on campaigns. They have shifting needs that PMs need to catch and respond to fast. Exhibit detailed understanding of their work and domain. Use the right format at the right time with the right audience. Make sure you’re conveying information in the way people expect and like to digest it. Decks/whiteboarding/written reports/etc. This varies highly. Leverage your teammates. Bring in engineering leads and others to make stakeholders feel like they’re hearing from the ultimate source. Gently and continuously educate them. Partners sometimes don’t know the consequences of their actions. Take the time to diplomatically explain things — like a how a relatively simple-seeming change represents much more work for engineers. Build relationships outside of work meetings. Go for 1:1 walks or coffees to build rapport. Create transparency. Don’t rely on others to communicate to everyone. Publicly share and point to roadmaps available to everyone instead. Forget who to loop in at what stage. Make a list of all the work expected and who needs to know what. Give everyone ample heads up. Make stakeholders feel ignored. Even if you disregard feedback, follow up and explain. Forget you have more insight than anyone else. Stakeholders don’t see your roadmap. Err on the side of over-communication. Allow meetings to end without clarity. At the end of every meeting, state the primary conclusions and action items. Get universal agreement. Forget to educate about timelines and tradeoffs. Proactively provide this info, don’t wait to be asked about it. As a PM, you should master talking to customers so their needs are well-represented — and to make the right impact for them. Always start with the user problem. Don’t just accept a pain point exists. Ask why and understand the journey that creates that pain point. Keep what’s important to them top of mind. Constantly refer to user studies and conversations as you speak to other stakeholders. Treat email copy as a part of the product experience. It’s one of the first impressions you’ll ever make on a customer. Generate empathy for yourself by reading through user feedback, attending user studies in person, shadowing sales and customer success, etc. Leave product communications/messaging to the last minute. Messaging can often define product choices, and not the other way around. Start with this, don’t end with it. Assume marketing will position the product themselves. You bring a ton of context they don’t have. Stay in the room. Leave customer success in the dark about launch. They’re the front lines. Treat them accordingly. Believe internal products require no roll out. Internal users are real users. They need to be onboarded, trained and kept engaged. What superpower do you want to give your user? For example, the Amazon Kindle makes reading far more accessible to the average human. The iPhone lets us navigate to unknown places wherever we are in the world. Great products solve core human needs and are presented in a way that makes it easy for people to see, feel and understand their value deeply. This is how a strong product narrative moves people to action. As a PM, it’s your job to ensure the entire team knows the story you’re trying to create for your users. As noted above, this should come first in your development process, not last. Goldklang relies on Will Carlin’s 5 C’s framework for telling strong stories. Before applying them, however, your goal should be to craft a story around a single user — not a group of users. Context: Establish the setting and identity of the user you’re talking to. Conflict: The problem your product attempts to solve for that user. Conflict Escalation: Really visualize what it’s like for a user to encounter this problem. Draw out the emotions tied to the pain point and solutions that have been tried but failed. Really feel and describe the frustration, disappointment, etc. Climax: Your product is introduced — what changes for the user? Conclusion: Detailed description of the improvement in the user’s life. Use this framework to create a story about your product. Share it in all-hands meetings, working sessions, cross-functional status updates, etc. And remember, no matter what you do, different versions of your story will emerge once it launches. To win, craft the story that is closest and most personal to your user. The more emotionally resonant it is, the more it will drown out competing perspectives. Standardize your assessment of competencies. Every startup PM is in a race against time. Moving up depends on your ability to scale yourself and your abilities as fast as your companies are growing. To be smart about this, says instructor and ClassPass Head of Product Justin Chang, PMs should focus on scaling in four areas: decision making, velocity, collaboration and empowerment. Driver: The one person responsible for the project who drives process and keeps everyone aligned. Typically, this is the PM. Approver: The person who approves the proposal/recommendation for the project. There can only be one approver. Even more senior people in the company hierarchy cannot overrule this person’s approval, once the approving authority has been granted. Contributors: People working on the project team, providing input, producing work, etc. Informed: People who are kept in the loop about the project and results, but not directly contributing, and not attending meetings. According to Chang, this framework holds great power to improve morale, streamline activities, and reduce context switching for everyone. Goal definition: Everyone included in your DACI framework should come together and emerge with a singular goal for the product. Product definition: Align on scope of the project and what will be required to solve the problem at hand. What is and isn’t out of scope? Design review: Be explicit about the type of feedback you want and don’t want. Tech review: Make sure everyone has a chance to debate and buy into the technical approach. Go/no-go: Review your checklist to make sure the rest of the org is operationally ready for a product/project launch — i.e. customer service has the bandwidth to answer questions, etc. Make your product roadmap and product docs accessible to the entire company. Hold Gate Meetings with everyone in your DACI group. Gate meetings force decisions that must be made to proceed. Put together a product doc with all the context for the decision and start the meeting with a 10-minute silent reading period. Send decision emails to communicate to all possible stakeholders when big decisions have been made and why at every stage of the development process. Present options instead of a firm decision. Give the people on your team as many choices as you can for how to solve a problem, what outcome they want to achieve, what metrics to measure, what success will look like. Start milestone meetings with a background share. Go around the room and have everyone briefly state what they know about the project, wish they knew, and what they’re most excited about. You have to gather implicit data. Stop making excuses. Yes, you have other priorities, but you must find small ways to quantitatively measure user behavior patterns across your product. If you don’t, you’ll have no real visibility into how users will react to new features. You might implement something you thought would be awesome only to see a backlash. These can be little experiments, like seeing if someone will click on a link. Don’t underestimate the importance of explicit data. So many startups lean on stats to validate their hypotheses without seeing the bigger picture. Protect yourself against this by taking in qualitative feedback shared directly by your users. Give it equal if not more weight. Always go to your customers when you observe them. You want to see how people are using your product in their natural habitat. Craft questions based on their unique context about how they’d use the product in specific situations. If they’ve developed any workarounds, take special note. Find the right users for your questions. At B2B companies, product managers often find themselves engaging with the C-suite at their customers. Their feedback will be different than that of other employees who might be the primary users of your product. Determine who is the most relevant user of your product, and pose the questions to them directly. Find a meaningful metric for your performance. When you poll your users on how much they like your product, you need to make sure you’re measuring the right thing. What metric will indicate that you’re succeeding with people the way you want to? Net Promoter Score is a common choice — measuring how likely it is that someone will recommend your product. But that’s not universally appropriate. For example, at Betterment, the team used NPS Score for a while, but then noticed that it was fluctuating with the ups and downs of the stock market. They augmented it with a Customer Effort Score — a measure of whether the company made it easier to perform certain tasks. In many ways, product management is the ideal springboard for founders. It’s a position that affords you opportunities to go deep in areas that will serve you when running your own business, namely negotiation, P&L and forecasting, legal, hiring and operations. But before you can get into all of that, you need to be sure you’re choosing the right idea to work on. During the final session of the Product Program, instructors Camille Hearst, Co-founder and CEO of Kit, and Hannah Donovan, Co-founder and CEO of Trash TV, sat down with the PMs to talk idea selection. Value: Do people want this? When you talk to prospective users, do they see value in what you’re building? Usability: Can people figure your solution or product out intuitively? Feasibility: Can you and an eventual team build what you have in mind within a realistic time frame with the resources you can realistically get? Viability: Is there a clear business model and path to making money? All of the frameworks and lessons shared above are now tools for the next generation of New York-based product leaders and founders. As we said, the 17 PMs who attended the Product Program were selected out of more than 800 candidates. They are (in our opinion) the people to watch in the NYC tech community. And now that they’ve connected with each other, they’re unstoppable. We highly recommend getting to know them now. Alex Powell, Product Manager at Greenhouse, grew up in New Jersey (proudly, despite what everyone else says). He decided to stick around the Garden State for four extra years at Princeton before starting his career as an immigration paralegal — back when he thought he was going to go to law school. Luckily, Greenhouse saw his potential and hired him for their support team. He made the shift into product as the first PM aside from the founder. When he’s not at work, he’s quoting obscure TV shows and movies. Alexander Tsu, Associate Product Manager at Foursquare, oversees enterprise data products and a developer platform with over 120,000 users. It’s his job to make sure that developers can tap into Foursquare’s massive database of 93 million locations to build incredible new products. He studied economics at Dartmouth and computer science at the University of Chicago. Outside of work, he spends his time watching the Golden State Warriors, drinking boba, and singing off-key karaoke. 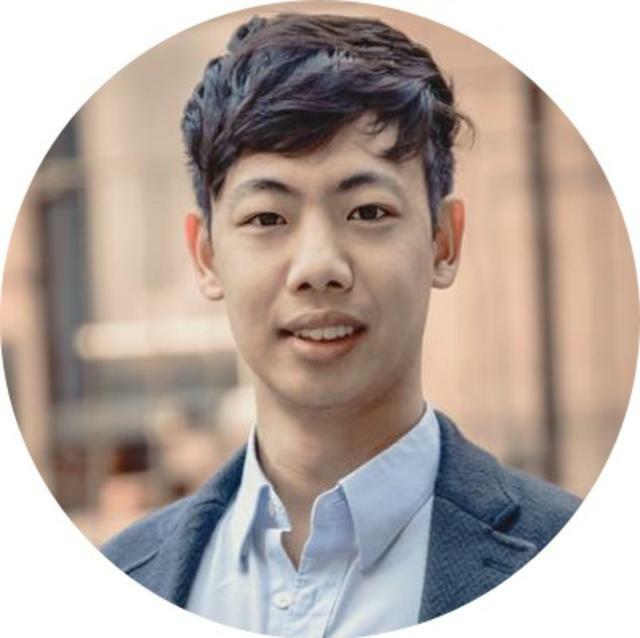 Ara Cho, Product Manager at Nomad Health, recently joined the team to focus on building out an online recruiting platform that connects hospitals and clinicians. She developed her product chops at OnDeck, helping more small businesses get loans and expanding the company's markets in Canada and Australia. In the process, she learned all about working with international users. She has a BS in business administration from Berkeley and an MBA from Harvard. Outside of work, she’s a volleyball fanatic, heavy consumer of YouTube, and takes advantage of New York to achieve her step goals every day. 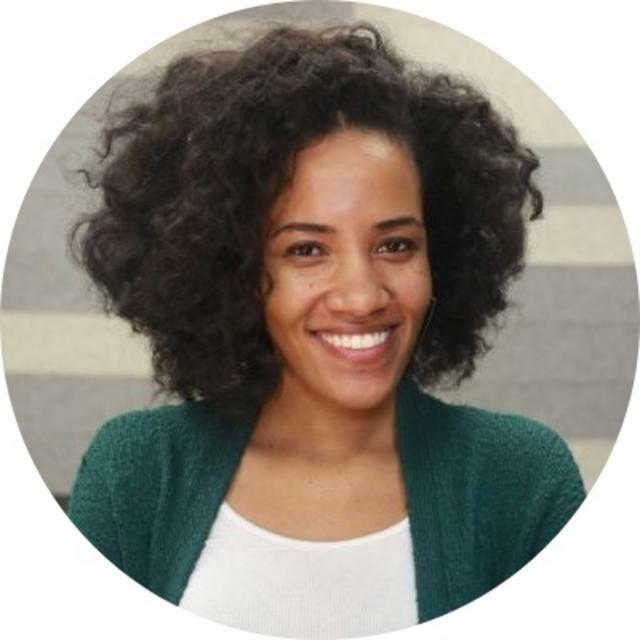 Brittney Gwynn, Director of Product at Simple Contacts, is focused on acquisition, conversion, and building technology that delivers care directly to patients at their convenience. She started her career at Google, where she developed an interest in discovering gaps in user experiences and anticipating product usability flaws. She later joined SoundCloud as a PM, where she helped launch new consumer subscription products in several markets. Brittney loves product because it touches all aspects of the business, from marketing and engineering to supporting the entire company vision, all while solving tangible user problems and ideating next level, aspirational user journeys. She graduated from Howard University, is a native Detroiter, loves to travel, and serves as the NYC City Lead for Black Tech Women. 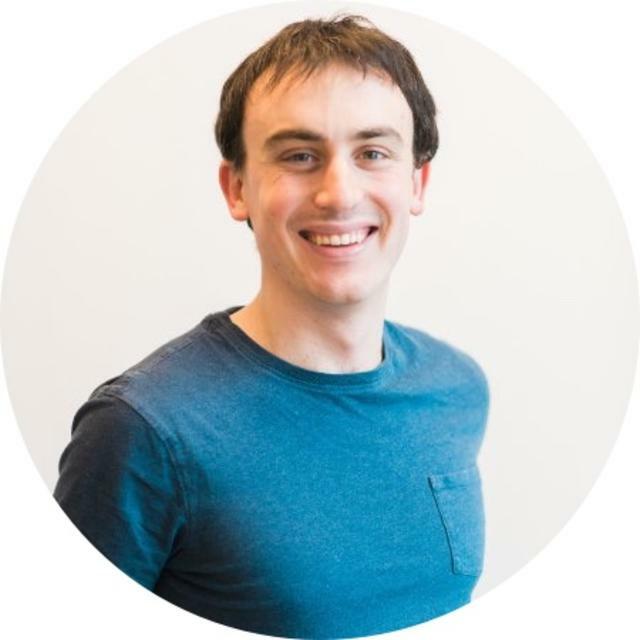 Daniel Layfield, Product Manager at Codecademy, splits his time between the product team and managing external partnerships with governments, tech companies and nonprofits. Codecademy is in a phase of rapid growth, so his role is a combination of finding the right business opportunities and scaling the organization. Prior to jumping into tech, he spent five years in management consulting and two years in banking. He left that world to start his own company in programmatic advertising. 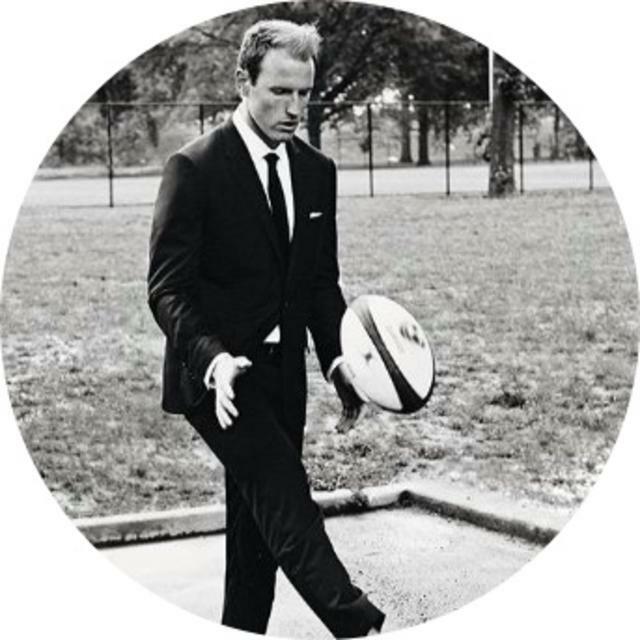 Outside of work, he plays rugby for the New York Rugby Club and the New York Knights. 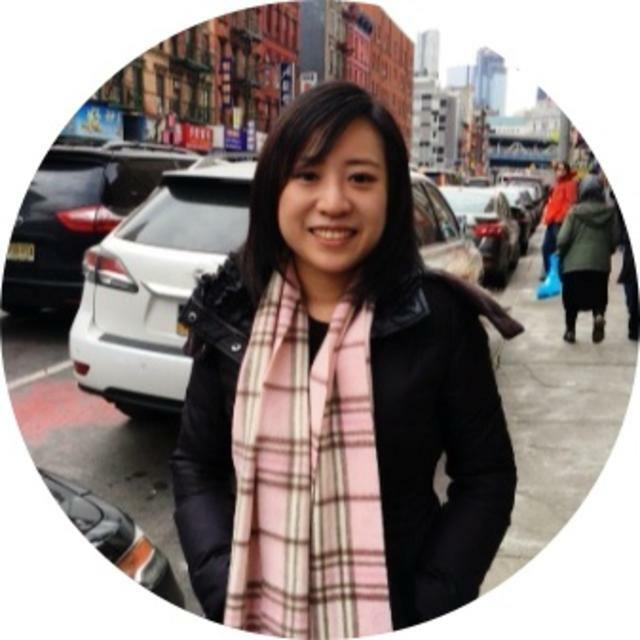 Diana Hsieh, Product Manager at Cockroach Labs, loves the collaborative relationships that naturally form between PMs and other departments because she gets to learn something new from her peers every day. She spends much of her time sitting with engineering, speaking to groups of customers, and catching up on technical papers. Before Cockroach, she spent two years at a venture capital firm doing diligence on enterprise software startups, but started her career as an investment banker. While she enjoyed the business side, she wanted to get more hands-on with technology. She joined Cockroach so she could play a part in building the future. She graduated with a degree in economics from MIT and is working on her master’s in computer science from Georgia Tech. Don Richard, Product Manager at Verizon, is fascinated by opportunities for tech to fundamentally change how we learn, communicate, and level the playing field for the less fortunate. 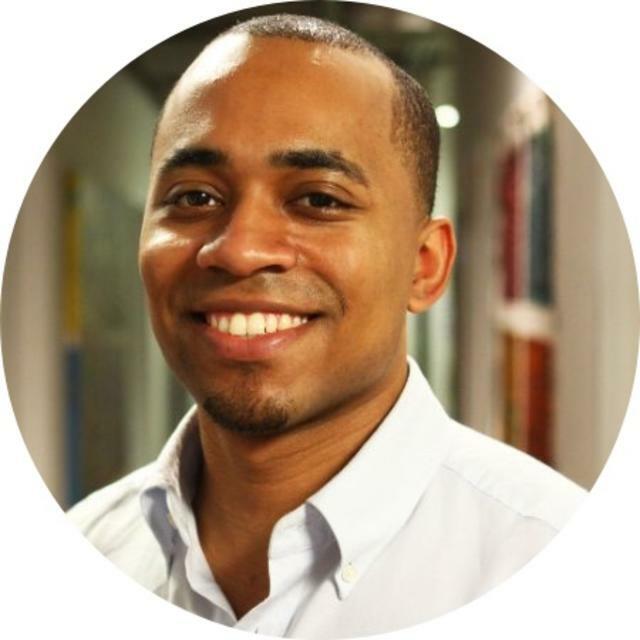 He currently works on Verizon’s Fios TV and internet service, building mobile commerce and platform products. Prior, he ran a mobile commerce and payments consultancy called Coin Labs, and led partnerships for customer communication startup LiveNinja. He has a degree in marketing from the University of Florida (where he also minored in entrepreneurship) and his JD from the University of Richmond School of Law. In his spare time, he hangs out with his wife, beagle and goldendoodle. Ida Fey, Product Manager at AbleTo, builds technology that connects people suffering from serious medical conditions or life stressors with clinical therapy. She oversees the patient experience and is responsible for both the clinical and technological aspects of the product. 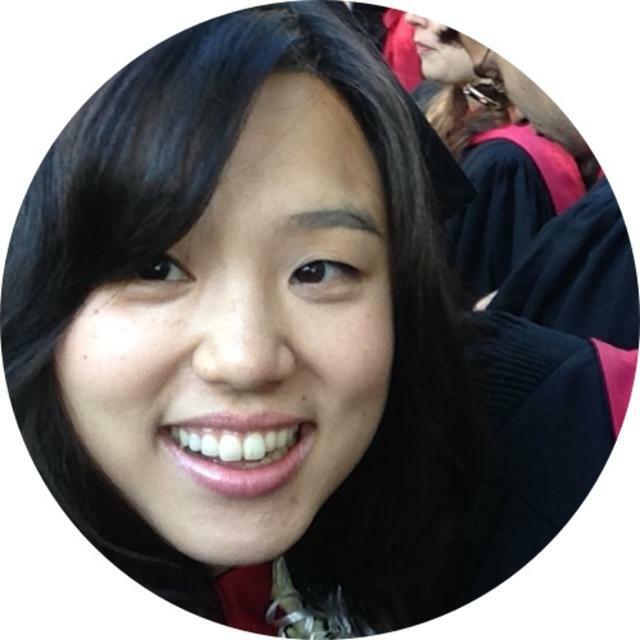 Before working in healthcare, she hopped between marketing consulting and software. She graduated from the University of Michigan with a BFA in Art Therapy and Photography. Building products has allowed her to meld her experiences and focus on the human impact of technology design. Outside of work, she spends her time gallivanting through art museums, hanging out with her dog, traveling, and staring through a camera lens. 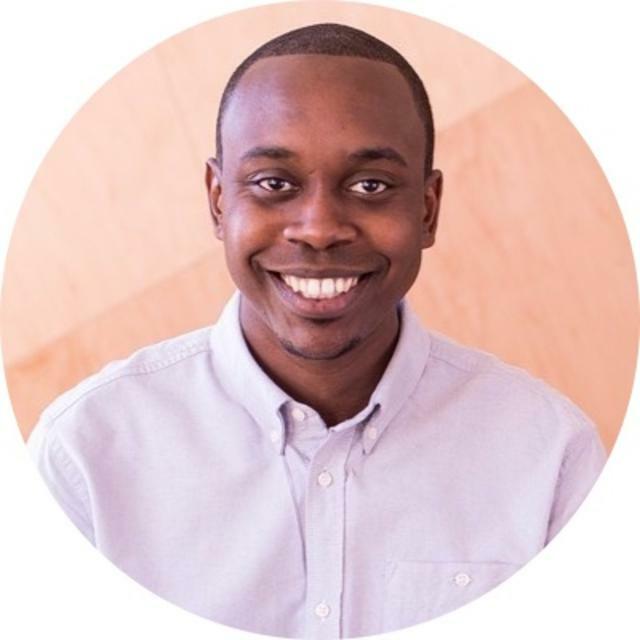 Isaiah Greene, Product Manager at Slack, is on the company’s Search, Learning and Intelligence team, where his focus is to help build an intelligent layer on top of the product to make life simpler, more pleasant and more productive for users. After graduating with his computer science degree from the University of Pennsylvania, he spent five years at Google — first as a software engineer and then as a visiting CS instructor at Morehouse College, and later as a PM. Switching to product management allowed him to combine multiple loves: building products that improve people’s lives using technology, problem solving, vision setting, exploration, communication, and ideation. Jacob Effron, Product Manager at Flatiron Health, helps community oncologists improve how they run their practices. He’s passionate about using technology to increase healthcare access and quality, and enjoys wearing many hats day to day. Before Flatiron, he was a healthcare and economic development consultant at McKinsey. After one particularly exciting project on mobile-enabled business models, he moved to Tanzania to work with a solar startup selling small systems to off-grid households. He graduated from Yale with a BA in economics and history. Having grown up in Boston, he has serious love for clam chowder and all Boston sports teams. In NYC, he enjoys playing pickup basketball and singing karaoke. 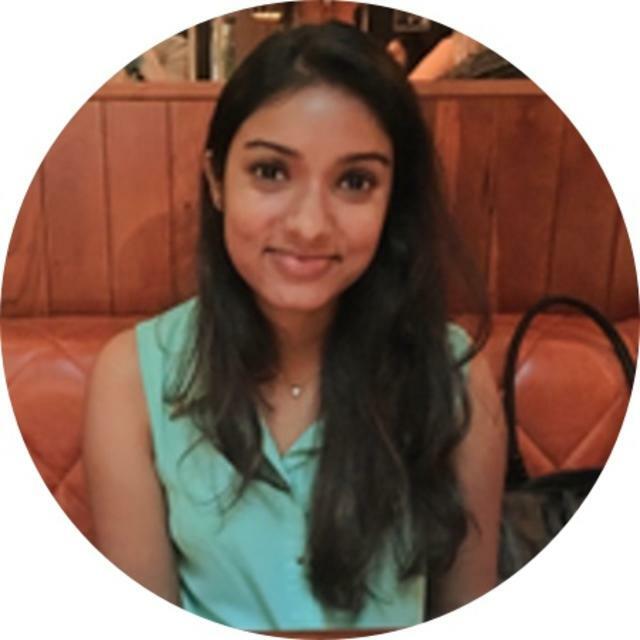 Jisha Jacob, Product Manager at AppNexus, focuses on supply management and inventory quality products, working closely with engineering, data science and design. Before becoming a PM, she was on the company’s service team, first as a product specialist, then as an implementation consultant onboarding new clients, and finally as a solutions engineer. After graduating from Stanford, she worked on her own startup, The Active Generation (TAG), to excite and empower students to live healthier lives, and was selected for General Electric’s summer incubator. 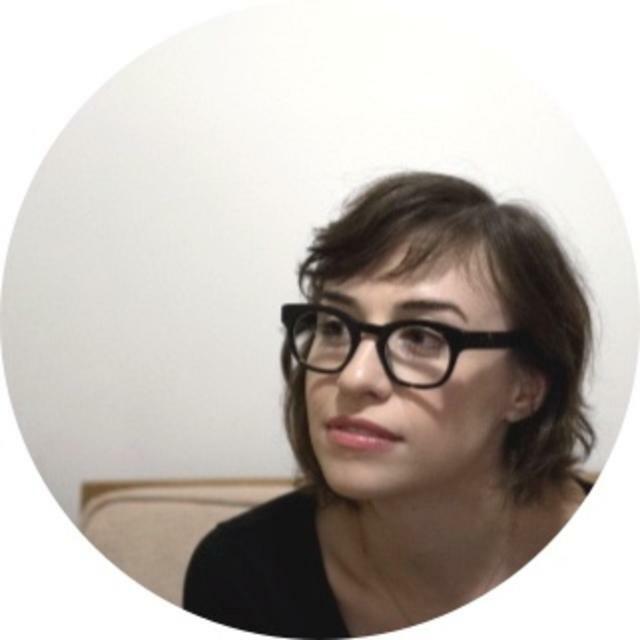 Today, she’s earning her master’s in CS and machine learning at Columbia, and spends her spare time writing young adult science fiction about a futuristic hacker school for kids. Maddy Moelis, former Product Manager at Zola, has always been fascinated by consumer psychology and the power of empathizing with customers to solve real problems. 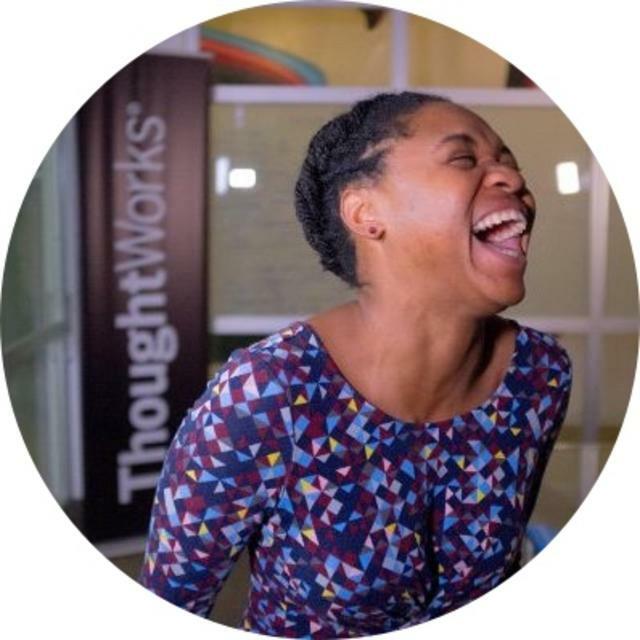 This led her first into consumer insights and then product management. She’s currently working on a pre-launch startup in the consumer space. Before going out on her own, she led product at diversity recruiting platform Jopwell, was a PM at wedding company Zola, and managed the consumer insights program at Warby Parker. Originally from Westchester, she graduated from Wharton with a BS in marketing, and is an avid fan of the Giants, Knicks, Mets and Rangers. 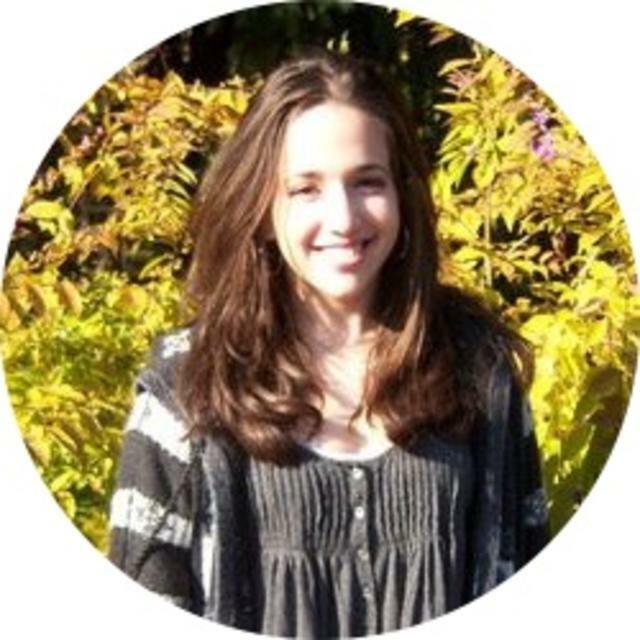 Marley Spector, Product Manager at Dropbox, just started her new role on the Review team after spending three years at Hired, where she built products for job seekers and hiring managers. Previously, she was in the rotational analyst program at JP Morgan Chase. She studied engineering and economics at Swarthmore College, where she was a pitcher and outfielder on the softball team. When not working, she boxes, plays tennis, and loves finding great sushi restaurants in NYC and SF. 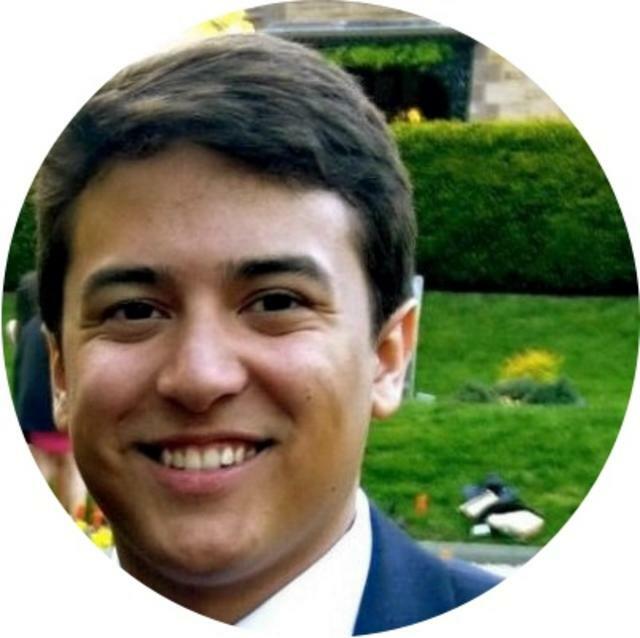 Rafael Balbi, Product Manager at LiveAuctioneers, helps thousands of sellers globalize their operations to sell one-of-a-kind items around the world. At the moment, he’s focused on seller tools and optimizing user funnels. In the last two years, he’s worked on ad units, a payment processor, fraud, and introducing a fresh take on live bidding. Prior, he was the first product hire at Maker’s Row, the marketplace for designers to produce goods domestically. He has his BS in economics from Syracuse University. He spends his time outside of work doing yoga, boxing and salsa dancing. His long-term goal is to lead development of inclusive products that’ll bring the world closer together. 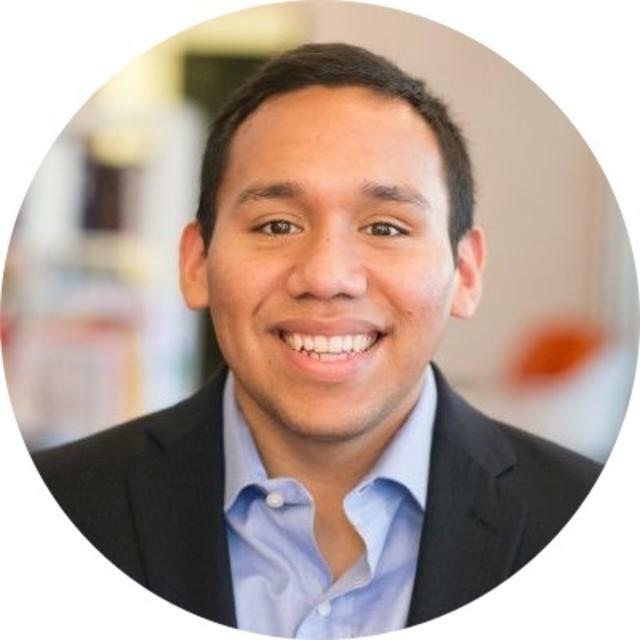 Sean Echevarria, Senior Manager of Product and Research at Walmart, is on the People Experience team. He focuses on developing people products to address the entirety of the talent journey — from learning and applying to Walmart to onboarding and employee engagement across all brands and segments. 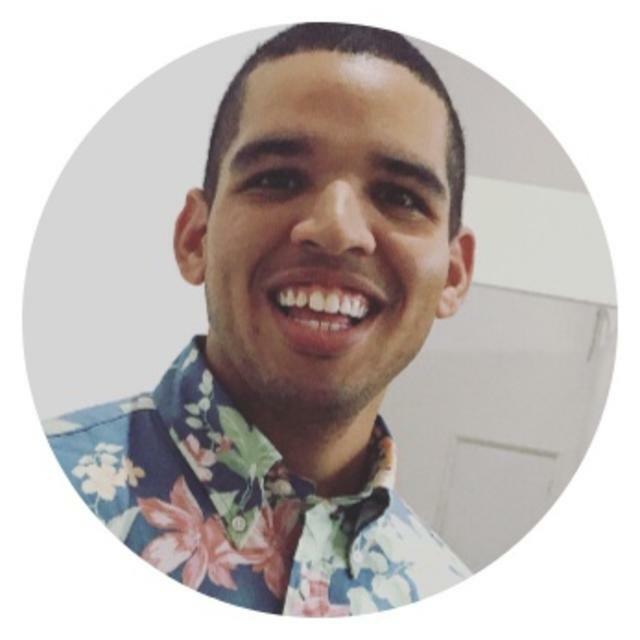 Previously part of the Talent Experience team at Jet.com, Sean is a graduate from North Carolina State University where he received his BS in Mechanical Engineering and fell in love with tech through its Engineering Entrepreneurship Program. Outside of the office, you can find him hosting events through The UX Lab, a meetup he co-founded that now has 6,000 members across the U.S. — and The Product Lab, a series of talks from product leaders for up-and-coming product managers. 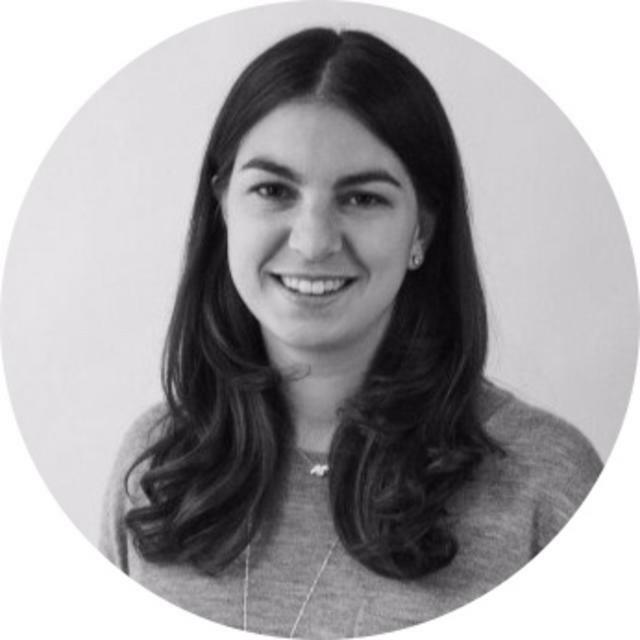 Victoria Kennedy, Product Manager at Hustle, works as head of the Platform team. Before this role, she worked at prestigious digital design agency Huge, focusing on consumer digital products. While there, she worked on the Today Show’s new app, a new learning platform for Girls Who Code, and an ecommerce site for an international fashion brand. Previously, she was a consultant at ThoughtWorks, and worked at both a gaming startup and ecommerce startup. Professionally, she’s most interested in civic technology. Outside of work, she’s a dancer, mainly West African, loves cooking, and looks forward to the day she can learn to garden. 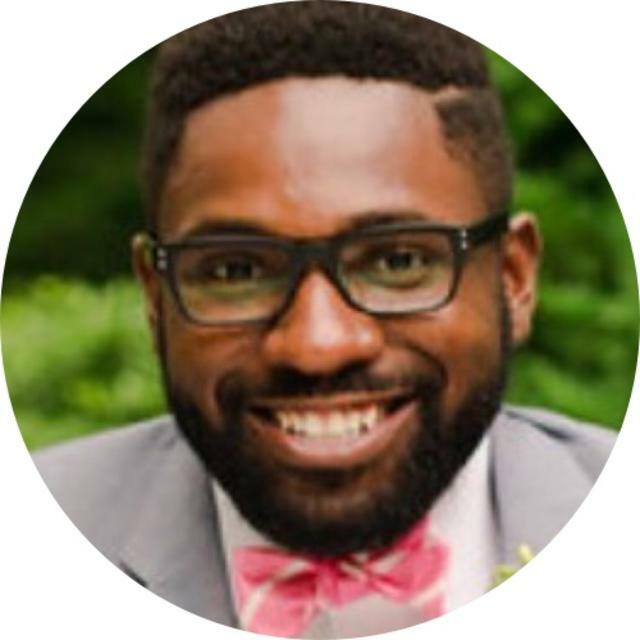 Willie Maddox, Product Manager at Google, works on Google Classroom to improve learning experiences for students and teachers. Before this role, he worked at YouTube and at Microsoft improving entity-based search for Windows and Bing. He believes product is the optimal fit for him since he didn’t want to have to choose between design and engineering. When not at work, he’s usually sharing his opinions on better designed/engineered solutions in everyday life over cocktails. He also loves watching historical documentaries on PBS and generally tries to listen to as much music as possible while cycling and running around the city. We were so thrilled to work with all 17 of these remarkable product minds. But the coolest part for First Round was seeing them forge bonds of their own, building off each other’s ideas in class, and talking for hours afterward over drinks. We believe community is a vital component to success in our industry, so we’re always looking for opportunities to forge connections that will bolster and educate people throughout their careers. We plan to keep this going with a San Francisco Product Program launching later this year. We’ll let you know when applications are open, but keep your eyes peeled around summertime for an announcement. And if you have any questions in the meantime, send a note to the fine folks who design and run these programs Anita Hossain (anita@firstround.com) and Whitnie Low Narcisse (whitnie@firstround.com). Many thanks to Maddy Moelis, Alex Powell, Isaiah Greene, Jacob Effron, Marley Spector, Jisha Jacob, Brittney Gwynn, and Diana Hsieh for compiling the notes for this post. You can read even more detail on the advice shared above on Medium here.